Please help convince President Obama to permanently protect Alaska's offshore waters, whales, polar bears, walruses, seals, sea lions, sea otters, seabirds, fish, cold-water corals, and coastal communities by designating Marine National Monuments in Alaska. Alaska’s seas and coasts are globally significant for their diversity, expanse, abundance of fish and wildlife, as well as its historical, cultural and economic significance. Although more than half of Alaska’s lands receive permanent federal protection, none of Alaska’s federal offshore waters receive comparable protective status. Half of the nation’s entire shoreline and three-fourths of our total continental shelf are in Alaska, and this vast area hosts some of the most abundant populations of fish, shellfish, seabirds and marine mammals in the world ocean. But Alaska’s offshore ecosystems are at growing risk from climate change, overfishing, pollution, increased shipping, and offshore oil drilling. Many Alaska marine mammal, seabird, and fish populations are in decline, and some are threatened or endangered. Conventional Alaska marine management remains captured by powerful industrial interests seeking to maximize short-term revenues over long-term ecological recovery and sustainability. If such a political dynamic is left unchallenged, Alaska’s marine ecosystems will continue to decline. We urgently need permanent federal protections. To date there are no permanently protected offshore waters in Alaska (e.g. National Marine Sanctuary or Marine National Monument). The National Marine Sanctuary program recently declined a nomination for an Aleutian Islands National Marine Sanctuary, due to political opposition in Alaska. The only option left to secure permanent federal protections in Alaska’s offshore ecosystems is for President Obama, before he leaves office, to use his executive authority (under the Antiquities Act) to designate Marine National Monuments in Alaska. These Marine National Monuments should be designated in the Aleutian Islands, Bering Strait, and Arctic Ocean, and they should permanently prohibit offshore drilling, restrict trawl fishing, safely manage shipping, reduce marine debris and oil spills, enhance marine science, and ensure the recovery and sustainability of these national marine ecosystems. They will protect salmon fisheries and marine subsistence. Tell President Obama he can and must act unilaterally - over the parochial objections of Alaska businesses and politicians, Congress, and the State of Alaska - to immediately establish these permanently protected Marine National Monuments in Alaska. Such bold action is clearly in the national interest, and would be an opportunity to leave a powerful and positive environmental legacy of the Obama administration. URGENT - President Obama will visit Alaska Aug. 31 - Sept. 2, and we want to present this petition if we reach 100,000 signatures. So please spread the word -- WE NEED 1,000 SIGNATURES THIS WEEK. Please help us get there! 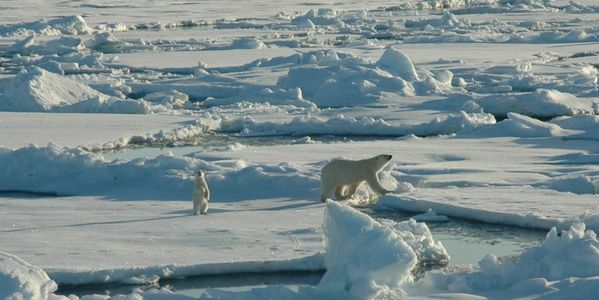 Shell's plan to drill in the Arctic Ocean underscores the critical need to permanently protect Alaska's federal waters. We are close to 100k signatures - a threshold for White House response. Please share the petition today with an email or on Facebook, and convince President Obama to do the right thing for whales, polar bears and other marine wildlife before he leaves office! As update to our petition, the White House is aware of our request (now with over 90,000 signatures), but has not committed to act. We were just told by a senior administration official 'not to expect anything so bold' during the final year of this administration, due to the political opposition in Alaska. To that, we say "NONSENSE!" We expect and deserve such action by this administration, and will continue to advocate such. Please spread the word, and let's get more signatures. Thanks!